A dry Chenin made with spontaneous fermentation (native yeasts). Fermentation and ageing are conducted in vats without the use of barrels in order to respect the unique minerality of Fosse-Sèche. The attack is fresh (limes) and the finish long with incredible volume in the mouth. 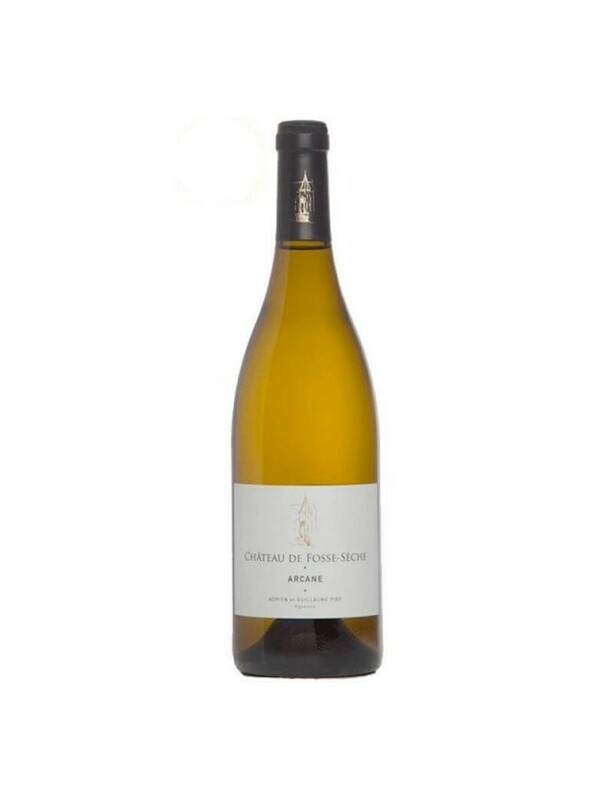 This highly digestible wine will make a superb aperitif and will also be a perfect match with raw and cooked fish, or white meat with pan-fried chanderelles. If you're ready to shake up your habits, try paring it with a cheese board (excluding camembert and brie). Enjoy! The origins of Château de Fosse-Sèche go back to the Middle Ages, when Benedictine monks planted vines there for the first time.In 1998, the Keller-Pire family fell in love with this exceptional place and today, Adrien and Guillaume, the second generation, have taken over the reins.Passionate about nature, the family has not only converted the vineyard to organic production, but also has created an entire ecosystem: pond, pollen meadows, organic alfalfa and uncultivated plots to encourage animals and insects. The whole estate has LPO (League for the Protection of Birds) classification.In the heart of the 45 ha area, 17 ha of vines are planted on Jurassic soil, a real geological curiosity that gives the Fosse-Sèche wines such a distinctive character. While the Saumur vineyard is planted almost exclusively on limestone soils, the Fosse-Sèche soil is made up of flint and iron oxide stones.